Solar Battery used in home energy storage typically are made with one of three chemical compositions: lead acid, lithium ion, and saltwater. In most cases, lithium ion batteries are the best option for a solar panel system, though other battery types can be more affordable. 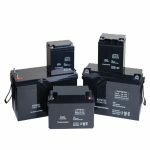 Lead acid:Lead acid batteries are a tested technology that has been used in off-grid energy systems for decades. While they have a relatively short life and lower DoD than other battery types, they are also one of the least expensive options currently on the market in the home energy storage sector. For homeowners who want to go off the grid and need to install lots of energy storage, lead acid can be a good option. Lithium ion:The majority of new home energy storage technologies, such as the , use some form of lithium ion chemical composition. Lithium ion batteries are lighter and more compact than lead acid batteries. 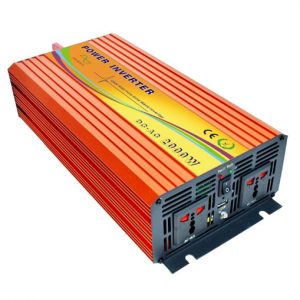 They also have a higher DoD and longer lifespan when compared to lead acid batteries. However, lithium ion batteries are more expensive than their lead acid counterparts. Saltwater:A newcomer in the home energy storage industry is the saltwater battery. Unlike other home energy storage options, saltwater batteries don’t contain heavy metals, relying instead on saltwater electrolytes. While batteries that use heavy metals, including lead acid and lithium ion batteries, need to be disposed of with special processes, a saltwater battery can be easily recycled. However, as a new technology, saltwater batteries are relatively untested, and the one company that makes solar batteries for home use (Aquion) filed for bankruptcy in 2017.